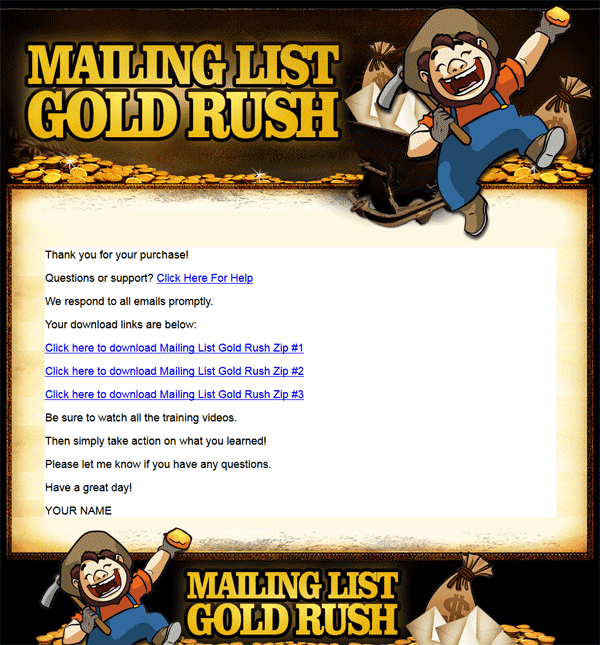 Mailing List Gold Rush PLR Videos is that quick and easy, ready to go content for the email marketing niche. Comes with Private Label Rights. 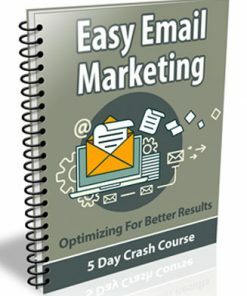 As you well know, email marketing is a very popular way to earn online. 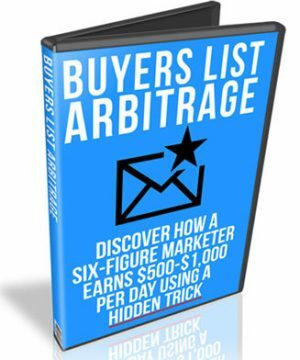 Problem is many marketers struggle to build a list, and then they struggle to make any profits from their list. 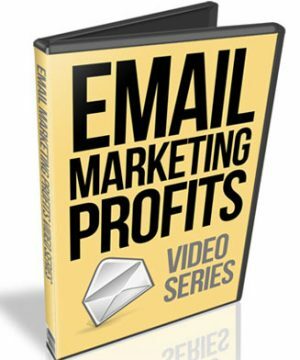 Here is your opportunity to be the hero, expert and authority in this niche with this quality content packed video series. And you make some cash in the process. Everyone will tell you… the gold is in the list. Of course, the bigger and more targeted the list, the better the results. And the result you’re ultimately shooting for is more revenue. You absolutely MUST keep a fair balance between sales pitches and quality information… or you’ll sabotage ALL your efforts! It’s HOW You Use It! If you send out too many blatant “buy this now” messages, you’ll lose the trust and support of everyone on your mailing list. If you send out too much free information over an extended period of time, you might just alienate your subscribers when you do finally promote any type of product to them. That’s where balance comes into play. You need to send quality information and advice for free. But you also need to incorporate promotion messages that are related to that information. Get this wrong and you’ll have a VERY hard time making money from all your hard work! 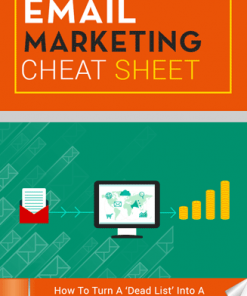 Like many marketers, I’m guilty of sending TOO many promotional emails and not enough free, valuable content. It’s an easy habit to fall into… and it can be difficult to recover from. Otherwise, you’ll end up with A LOT of unsubscribes and poor open rates! Otherwise, you’ll waste your time and money. 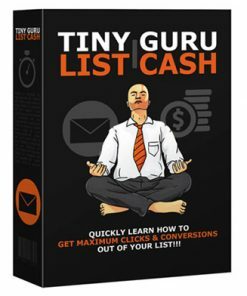 List building is one of the easiest, most effective and most reliable ways to make money online… if you do it correctly. 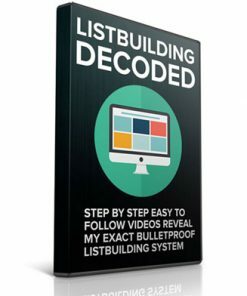 I’ve been building lists since 2003 and I know what works. I’ve gone through all the trial and error, so you don’t have to. 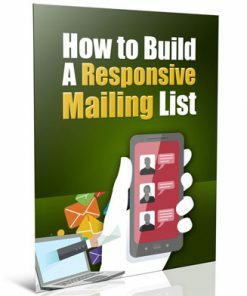 Now I’d like to hand you my “blueprint” on a silver platter… so you can instantly copy my success and build a profitable mailing list! But without the benefit of quality subscribers, that gold will be extremely hard to come by. No matter how many killer sales pitches or how much free information you send them. 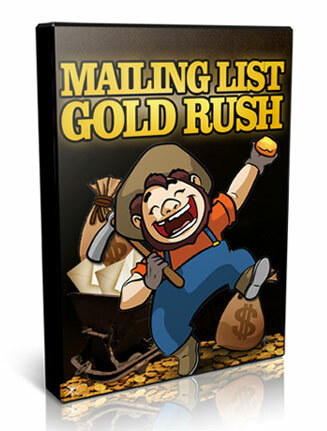 Do it right the first time and you’ll have your very own virtual gold mine!